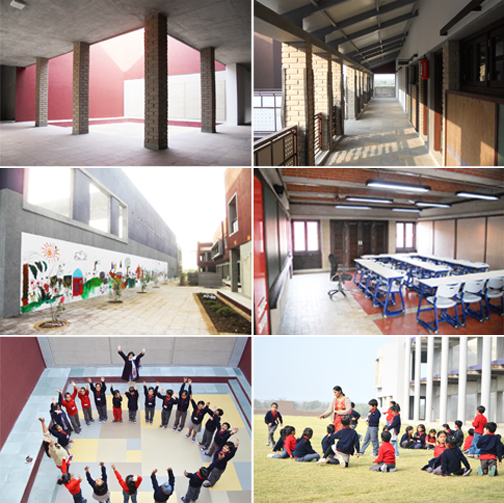 Redbricks School is spread over a Sprawling area of 8 acres amidst the cradle of nature in Rancharda-Santej area, Redbricks School is a vision of a Class 1 to Class 12 Educational Institute, which upholds superior quality education at the helm of its curriculum and promises the holistic development of a child. Our Efforts are directed towards building a Redbricks School main campus with world-class facilities. Our design philosophy is to develop a child-friendly, aesthetically pleasing, and stimulating learning environment, which would also support our innovative curriculum and pedagogy. The classrooms are especially designed to provide the children an experience appropriate to their developmental stages. Mahatma Gandhi, the father of the nation, and a strong advocate of the philosophy of sustainability, is a source of inspiration for Redbricks Foundation and the Abellon Group. This initiative, while exemplifying our commitment to sustainability, is also a step towards ensuring that our students and future citizens of the nation understand and imbibe the principles of sustainability early in life, recognize their responsibility towards the environment and world at large, and contribute to the building of a cleaner, greener, more sustainable world in their time. 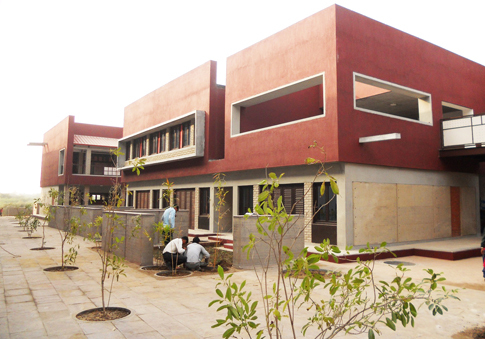 The campus incorporates some of the key principles of sustainable building and construction. Over 50% of the construction is done using mud bricks and mud walls - an eco-friendly alternative to conventional construction material which require very little generated energy to manufacture and greenhouse gas emissions associated with unfired mud bricks is very low. • The master plan of the campus envisages a green belt of over 70% of the total area. reducing fossil fuel based energy use. The thermal properties of mud bricks are a major reason for their popularity as a building material. It also helps in storing heat in winter and soaking it up in the summer, leveling out the temperature gradient within the building. This 'leveling out' of the temperature means less reliance on heating and cooling.